Electronics are great and serve us well, but I always prefer devices that have a designer touch and that extra special something which transforms them from the ordinary to the extraordinary. The designers at Crosely Radio came up with a very nice concept- a powerful Bluetooth Speaker with a retro look inspired by the traditional suitcase. The Soundbomb speaker is light and compact and has everything you need to provide you with great sound. 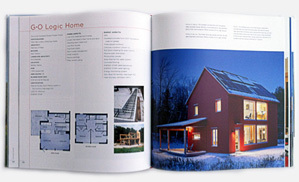 Best of all, you can use it as both a speaker and a public address system (PA). The Soundbomb comes in two great styles- the black version has a red handle and borders and the blue model has brown finishings. The suitcase look is well thought out. 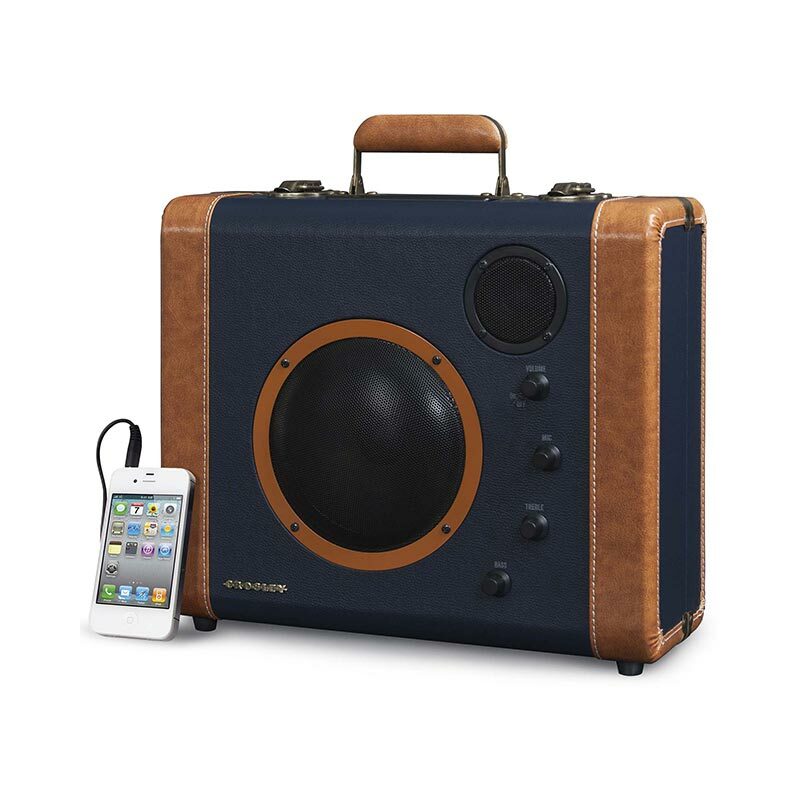 The Soundbomb is made from vinyl and has an integrated retro handle that makes it easy to carry. It also has brushed bronze accents and corner guards that give the suitcase a real retro look. 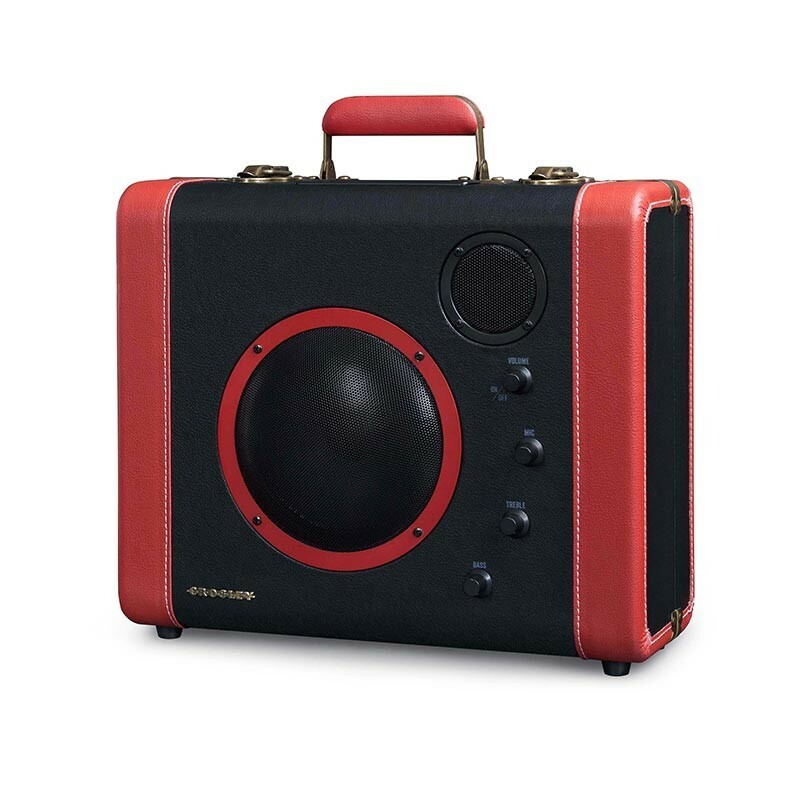 Technologically speaking the Soundbomb has it all- a 6″ Full Range Speaker, a 1″ Tweeter and bass and treble controls. It is also Bluethooth ready and Portable Audio Ready (which means that you can plug in your portable audio device or MP3 player) and an auxiliary input. 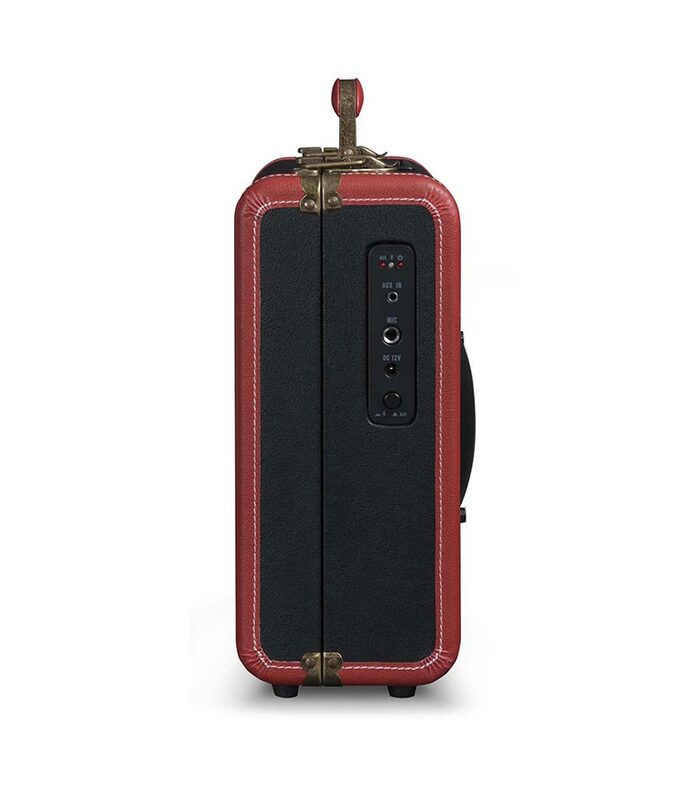 Additionally, it has rechargeable Lithium ion batteries, 1/4″ microphone jack and AC power adapter.